As the Giants move to a two game advantage in the World Series, I am reminded of the last time the World Series visited Chicago. It was a long time ago. Way back in 2005. Players like Juan Uribe and Aaron Rowand provided thrills to the postseason. Wait. That describes 2010 as well. Last night, Aaron Rowand delivered a two-run triple. Not bad for someone who was not in the starting lineup. This postseason has been deja vu for me and I'm sure some of the players too. This feels too much like the White Sox run, with former Sox players excelling in the spotlight. It may not end up like the 2005 World Series, but it has captured my interest. I know many fans of the Phillies and the Yankees, but with all due respect, it's been so much more entertaining with two new teams as participants. I'm very much looking forward to seeing the first Rangers home game in the World Series. There are only two current teams that have never participated in the World Series, in any form. Eventually, they will make it too. I tried to go through the proper channels, but I'm afraid that has ultimately failed, so as a last resort, I'm just going public with this information. This is Roy Schalk's baseball reference page. He is not Ray Schalk, even though the picture shown is actually of Ray Schalk. To my knowledge, these two players aren't even related. Ray Schalk was a Hall of Fame catcher who played from 1912 until 1929. The first seventeen of those years were with the White Sox. The last year was spent with the New York Giants. Roy Schalk played with the New York Yankees in 1932. His next shot at the majors came with the White Sox in 1944 and 1945. Roy Schalk was a second baseman and occasional shortstop. This 1936 card of Roy Schalk is an error. You can even see (Ray) listed under Roy's name in the PSA description. The card was actually supposed to be Ray Schalk, but was misspelled "Roy". Therein lies decades of confusion. 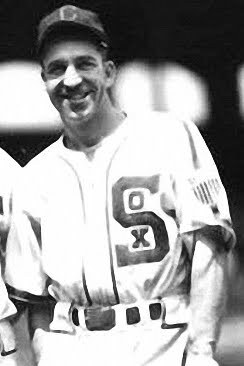 Below is an actual picture of Roy Schalk, with the White Sox in either 1944 or 1945. These two players could not look any different. 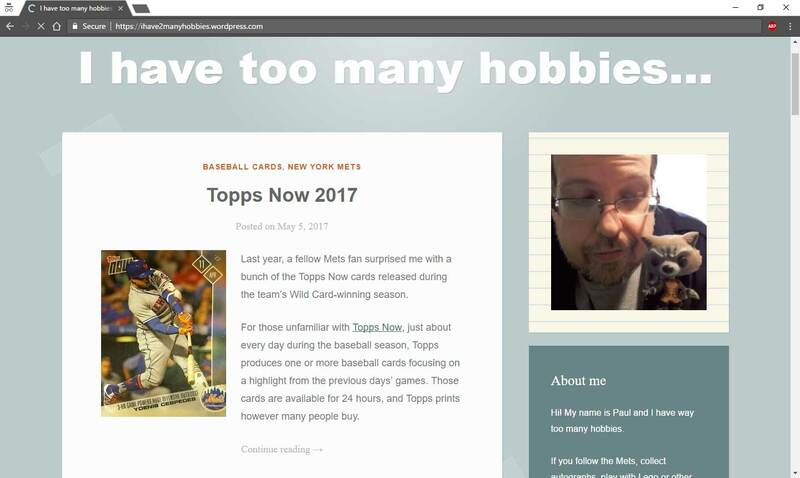 I e-mailed baseball-reference.com and got a basic reply saying that it would be looked into. Nothing has happened in several months, so I took it upon myself to point out the correction. It may not mean much to the average visitor to the site, but that doesn't mean that it should go uncorrected. Every player deserves the same type of treatment, whether he played one game or thousands. If it seems like I'm stepping on toes, I'm not trying to. I'm a stickler for detail when it comes to baseball related items. I would expect that website would be the epitome of stickler-ish detail. Now you know. And yes, knowing is half the battle. Nick started off his only season with the White Sox in grand style. He provided offense when the rest of the team was struggling and brought much needed comic relief after a less than stellar team start. Swisher's antics wore thin quickly and he soon found himself in Ozzie Guillen's doghouse. Although never identified on the record, Nick has been rumored to be the instigator behind an infamous prank involving blow up dolls and bats. This, coupled with his slump shortly after, made some question his integrity. His reaction to less starting time after his offense disappeared caused disdain among his teammates and fans alike. Instead of supporting his team on the bench, Swisher decided to pout and withdraw. Nick's 2008 season can only be described as memorably substandard with a career worst .219 average. It's Been Five Years Already? Happy fifth anniversary 2005 World Champion Chicago White Sox! It's been five years, yet some things remain the same. Juan Uribe and Aaron Rowand will be celebrating by preparing for the start of the 2010 World Series. The fifth anniversary gift is wood. How about some potent bats during the offseason? I'm not really in a writing mood today, so we'll get the short-short version. Do you? Do you? Good. You're married. Kiss her. Wait. Wrong thing. Druish princess I knew once finally got married that way. The less said the better. After the honeymoon things got too animated and childish. Speaking of childish things, does anyone remember when Toys R Us actually made and distributed their own cards? No? Well, there just happens to be ancient evidence of a family of giraffes, named Geoffrey, Gigi, Baby Gee and Junior, making and distributing cards of MLB players for years before the ASPCA came in and discovered that the giraffes were luring small children into stores specifically to add specimens to a "People Zoo" by tantalizing them with shiny objects and promises of MLB rookies. The children were saved, but most could not be fully rehabilitated. Those who could not be given a full recovery work in a comatose state, making duvet covers for the Martha Stewart Collection at the princely sum of two dollars a cover. Scott Radinsky is shown on his card rocking out to please the giraffe overlords. In reality, he was sending coded messages to the Coast Guard, who relayed the information to a mute ninja, who had an "in" with a Cajun man that had a penchant for wearing unbuttoned baby blue vests without an undershirt. This mustachioed ragin' Cajun gave this information to a wannabe rapper from Biloxi, who in turn translated the code into a recipe and gave it to his uncle, who is in the restaurant game. This uncle made meals that were picked up by unruly types with cycles and ray guns, who delivered the meals to twin brothers that owned the giraffes favorite hangout. A low level employee then served the specially prepared meals to the family of giraffes. Three of the four giraffes died from the deadly meal. The fourth, Geoffrey, hid underground after the attack. His plans for a human zoo were foiled, but the danger still persists. Scott Radinsky was an unsung hero. The world was saved from takeover by psychologically disturbed ruminants. Baseball card production by Toys R Us was halted after the incident. But we still have these artifacts to preserve the memory and serve as a reminder not to entrust the sanctity of corporate logos to animals. All vintage cards won at auction for under a dollar each. All filled a hole in my collection. 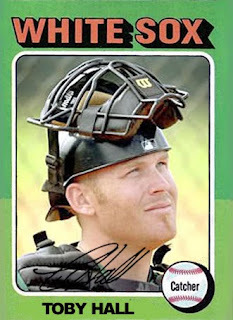 Toby played for the White Sox in the 2007 and 2008 seasons. Hall played in the reserve catcher role behind A.J. Pierzynski. A dislocated right shoulder, suffered while playing first base during Spring Training in 2007, contributed to his under par performances with the ChiSox. Even with the injury, the pitching staff, with Toby behind the plate, compiles a 3.68 ERA. He also sported a .377 batting average against left-handers in his limited role. There was speculation that Hall could have been brought back for the 2009 season, but the White Sox picked up Corky Miller as a backup catcher instead. Always someone who appreciated humor. He will be missed. Trading cards come in many different forms. Perhaps one of the most fun ways of collecting is stickers. When I was a kid, I went through many phases. A good number of them revolved around stickers. In fact, a surprise package from Thorzul last year inspired me to share a page out of a recently discovered sticker album from my youth. I collected every sort of sticker I could get my hands on and stuck them each lovingly into an album. I even did this with Topps and Fleer baseball sticker books. I never completed any of those sticker books, but I enjoyed every single moment trying to. I think the closest I ever came to completing a themed sticker album was a He-Man sticker album I had. I remember finding a ton of sticker packets at a Dominick's supermarket for a ridiculously low price, so I stocked up and found myself a couple stickers short of a full album. I think I was hooked into the series by the gimmick of Skeletor with revolving battle armor and the allure of stickers. What can I say? I was a kid. I can't recall ever running into any Panini baseball stickers, when both concepts appealed to me. I only remember having Fleer and Topps sticker albums. I guess that would make sense. It appears that Panini came out with their first MLB stickers in 1988, which was one year too late for me. I probably would have been bored out of my skull with the design as a kid, but who knows. Today, I find the design a calming presence in the middle of crazy eighties designs. Did everything need to be neon pink and green with confetti and triangles in the late eighties? I don't think it had to be that way. I blame Max Headroom and the California Raisins. I blame the odd colors on disciples of Punky Brewster who stared into their Lite Brites for far too long causing permanent damage to their inner color wheel. Just when you had any doubt as to the validity of stickers, take the advice on the back of the Panini baseball sticker of Harold Baines. See? Stickers are fun! It says so on the back of a sticker! It's down to four remaining teams. The White Sox were eliminated in September. Who do you root for? Some like to follow ex-White Sox players and base their picks on just that. Those unique individuals make the playoffs interesting for themselves by counting on past glories. On each remaining team there are ex-White Sox players. Who are they? Who should you look out for and who shouldn't you? I won't tell you who to root for, but this handy guide may help you decide. The Giants have 2005 White Sox playoff heroes, Juan Uribe in the infield and Aaron Rowand in the outfield. If you like Chicago legends, this may be the team for you! The Phillies have 2005 White Sox playoff hero Jose Contreras in their bullpen and ex-Sox utility player, Ross Gload. If you like gritty baseball, this may be the team for you! The Rangers have former starter Brandon McCarthy on the disabled list and former coach Gary Pettis as a first base coach. If you like the least amount of White Sox player connections, this may be the team for you! The Yankees have Boone Logan in the bullpen and clown Nick Swisher in the outfield. They also have Javier Vazquez and former draft pick Royce Ring on the inactive pitching list. Ex-Sox catcher Tony Pena is the bench coach and bullpen disaster Damaso Marte is on the disabled list. 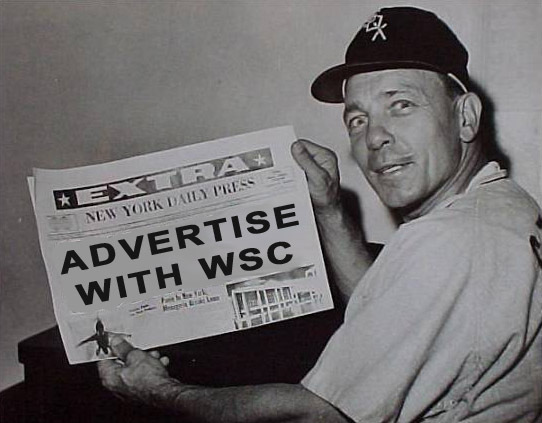 If you like the sheer volume of former White Sox connections, this may be the team for you! The White Sox connections are all around. They're just not always on the field playing the game. There are probably even more connections that I missed, but I tried limiting it to players and coaches. Whatever you decide, at least you have a sure fire way to be entertained through White Sox connections. Horatio was only with the White Sox for a short time in 2008. He mostly came into games in dire situations, which explains his 0-3 record with the ChiSox. It didn't help that he gave up 24 hits and 11 earned runs in only 13 inning of work. Ramirez took the loss in one of the most bizarre games of the 2008 White Sox schedule. A game between the Sox and the Orioles, in Chicago on April 28th, was suspended after 11 innings. The game continued in Baltimore on August 25, 2008, with the White Sox still considered the home team. Horacio entered the game in the twelfth inning and pitched 2 1/3 innings, in a game that was started when he was in the Kansas City organization. This trade was a slow burner, but it finally got finished. There was a lot of back and forth, but a trade between a Twins fan and a White Sox fan can finally be put in the books. This was my first time trading with Rhubarb_Runner from “é rayhahn, rayhahn” and I have to say it was a pleasure! My half of the trade can be seen here. The reason for the length of time between my post and Rhubarb_Runner's is simple. There was a complication on my part. It was fixed, but it took longer than expected. Enough with the boring details of the behind the scenes workings of the trade. I think that's only interesting to the participants involved, if that. The real deal would be the trade itself. If you clicked over, or are already a reader of Rhubarb_Runner's, then you've seen what I sent over. Let's see what he sent to the Chicago south suburbs. Every card filled a hole in my collection! 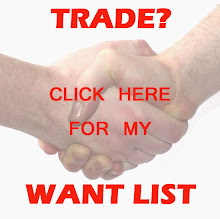 I love those kind of trades! Hopefully, this will be the beginning of a great White Sox/Twins trading route. I couldn't have asked for a better first time trading partner. I am impressed with the amount of variety in the package. I thought I was the only one collecting the 2008 UD Documentary of my team. It turns out that someone is just as collecting happy with that set as I am. Glad to hear it! I'm looking forward to future trades and the "player to be named later" will be sent out this week. It is now "in hand" and it is spectacular. 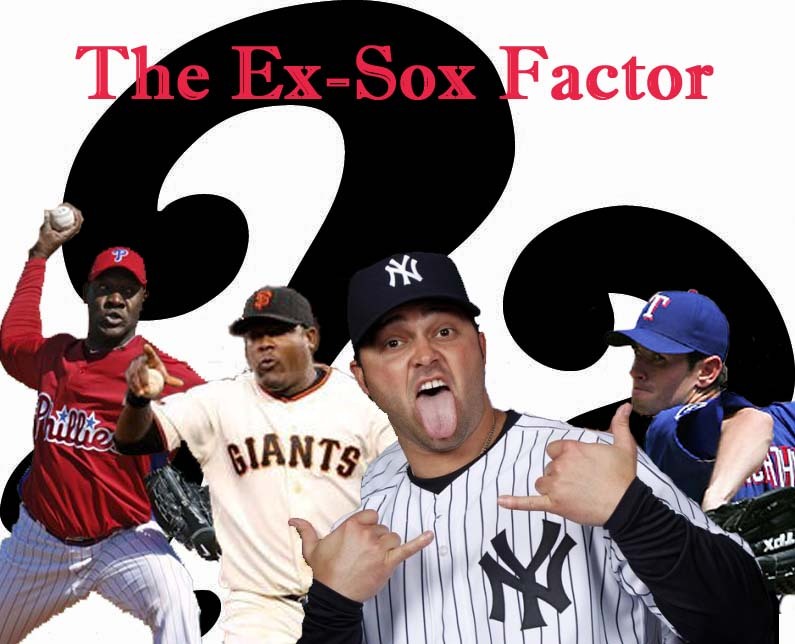 Let's play America's missing for awhile game, Sox Or No Sox. The rules are simple. We take one unopened pack of baseball cards that was randomly selected by yours truly. 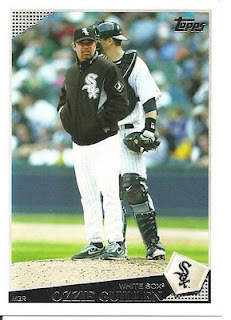 We then go through the pack card by card looking for those elusive White Sox cards. Along the way, there are two tricky and abundant traps to look out for. The first trap is the Cubs card. While hailing from Chicago, it is definitely not a Chicago White Sox card. The second trap is the Red Sox card. 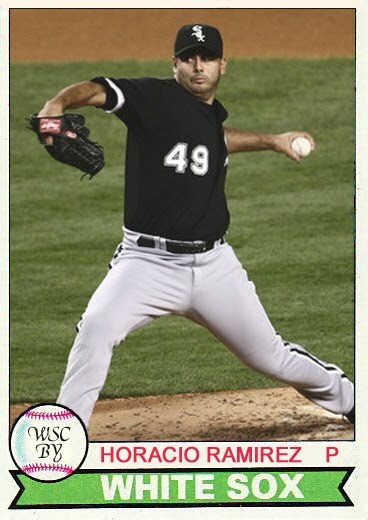 While technically a Sox card, it is vastly different than a White Sox card. Both traps are not necessarily bad things, but they get in the way of the games true goal: to find White Sox cards. 1/2 point is awarded for each card in the pack. 1 point is deducted from the score for each trap card. 1/2 point is taken away for each pointless mirror card. 1 point is given for any parallel. 2 points are awarded for each relic or autographed card (only 1 point awarded for a relic or autographed trap card). 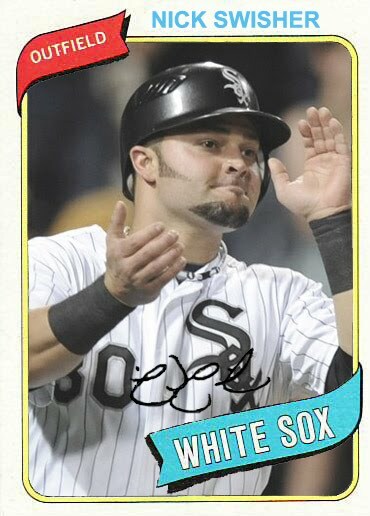 2 points are given for each White Sox card. Our player in tonight's game is a 2010 Topps Chrome pack. The pack contains 4 cards and features Tim Lincecum on the wrapper. Very cool. Let's begin. Off to a wonderful start here. Minus one point! An X-Fractor! Plus 1 point! Halfway through the pack. Scutaro... um yeah. Shiny, shiny Braves player. No Sox cards, one trap, nobody even close to Chicago. 2 cards left to go. Let’s see if we can get a White Sox card! A very good player on a pretty poor team. Hopefully the Orioles will start to get better, along with my fortunes. The Griffey era is sadly over. OK, our pack opening is complete. This pack was so-so. At least an elusive X-Fractor managed to sneak in! There was a former White Sox player, albeit for just slightly over two months. As much as I like to think that Marco Scutaro shouldn't belong in an abbreviated set like this, here he is mocking me and taking away a point. So, that’s ½ point for each card in the pack, -1 for the Red Sox card, +1 for the X-Fractor card. No White Sox cards in this game, but there's always next time on Sox Or No Sox. Look who's in the playoffs again! Jim Thome! This is the third year in a row with his third different team. That's a pretty good lucky streak, any way you slice it. 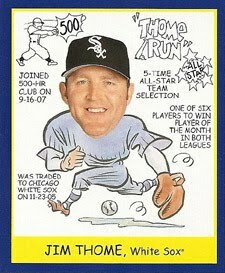 Even when he's spouting thinly veiled digs at the White Sox, like he did a week ago, it's still hard to dislike Thome. Unless Jim Thome is found outside your house with a machete in one hand and a loved one's severed head in the other, it's nearly impossible to find a reason to root against him. As of this writing, Jim Thome and the Twins still have a chance to advance in the playoffs, but the odds are against it. One thing I've learned over the years, and especially this season, is to never count the Twins out of anything. Without their dominant closer or dominant first baseman, they've managed to come out on top. They even lost their star catcher for a bit with knee problems and still found ways to win. My hat's off to them for getting this far with so much adversity. Unlike every trip back to Cleveland, Jim Thome's return to Chicago did not elicit boos. I'll never understand the mentality of the people that can boo Jim Thome. He went from the "golly gee whiz" persona in Chicago, where it sometimes seemed like he walked straight off of the set of Beverly Hillbillies or Andy Griffith (in a good way) to his new moniker of "The Animal" by his Minnesota teammates. I can relate. I'm not the biggest football guy, but I found myself playing the sport constantly in high school P.E. class. I went with the flow. I tried my best and ended up being a pretty decent blocker. Any team I found myself on immediately started a winning streak. Teammates started calling me "The Animal". I'm not exactly sure why they chose that name, but it never stuck beyond the confines of the football field. More than likely it didn't stick because I was the type of guy who would bend over backwards to help someone and I was more likely to be found on a baseball diamond or in one of the fine arts rooms working on projects. Whatever the future holds for Jim Thome, he's earned respect in Chicago. He's playing well into October, yet again. That's something that even the boo birds in Cleveland should respect. You've certainly made it difficult to do this year, but I'm still rooting for you. WSC Birth Years: Ken Griffey Jr.
Card #72 - Ken Griffey Jr. 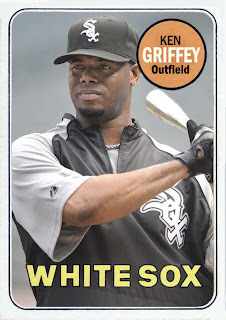 When Griffey was acquired by the White Sox at the 2008 trading deadline, no one was expecting Ken to be in his prime. He responded by going two for three in his first game with the Pale Hose. During his short tenure with the Sox, Griffey passed Sammy Sosa on the all-time home run list. Surprisingly enough, he also brought flashes of "The Kid" with him. Ken was playing center field in the 2008 tiebreaker game between the White Sox and the Twins. His throw from center to nail Michael Cuddyer at the plate ended up being the defensive play of the game. The game was scoreless at that point and the ChiSox wound up winning the game one to nothing, propelling them into the playoffs. During the offseason, White Sox Cards will be featuring players from the 2008 season, who don't already have a Birth Years card. 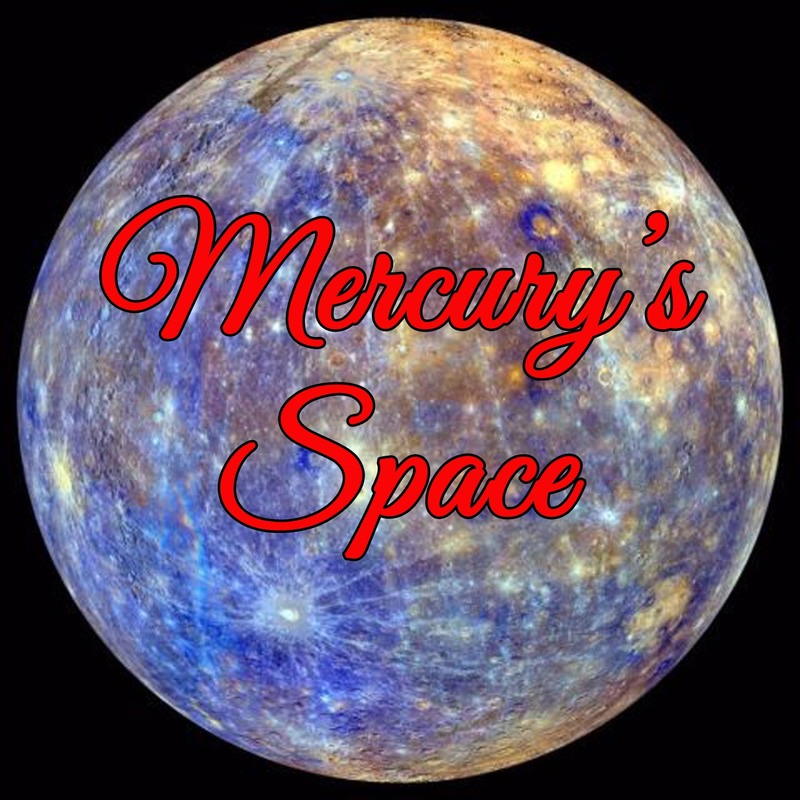 Since beginning this series in 2009, this virtual set has become one of the most popular attractions on this blog. Hopefully, that will continue as 2008's gaps are filled in. These 8 x 10 supplements were given out as incentive when a $2 annual subscription was purchased. The supplements were issued on heavy stock and were mostly blank backed. Personally, I love finds like this. It's not often where you find a large example of turn of the twentieth century photography on display. 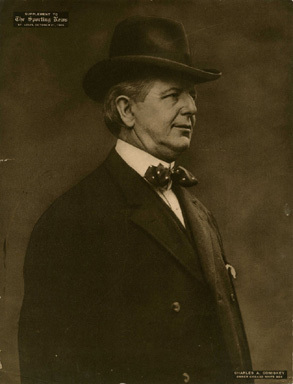 A vast majority of cards from this era were painted over photographs or cartoon drawings. I can always appreciate a fine specimen showing how people actually looked, instead of an artist's rendition. Many of these supplements survive today, but it is rare to find them in pristine condition. A good number of these supplements have minor damage, due mostly to their size. These can be picked up on the cheap, if you are lucky. The older they get, the higher a price they tend to command. The White Sox have six supplements out of one hundred. The one hundred supplements were issued between 1909 and 1913. These are a nice addition to any collection. Congrats to Ozzie Guillen for winning his 600th game as a manager! Consider this an add on bonus card to the Birth Years series. To honor Nancy Faust on her last day with the White Sox, I created a special no number WSC Birth Years card. As many of you are aware, Nancy is finishing up 41 seasons on the Southside. The park will not be the same without her musical musings. To commemorate her legacy with the White Sox, I've created a card based on the 1947 Tip Top Bread cards. 1947 was a very lean year for baseball cards, but many White Sox players managed to sneak their way into the Tip Top Bread set. 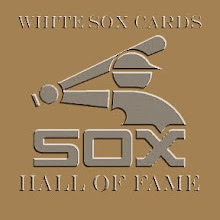 I can't think of a more fitting card set to feature Nancy Faust in, considering the White Sox connections. The original cards were 2 1/4 inches by 3 inches. They featured a black and white photograph with player identification at the bottom. The cards were borderless at the top and sides. Last week was a series of highs and lows. The lowest point had to be getting a tooth pulled on Thursday. It had to be cut into four pieces to get everything out. There were certainly a few more expensive options out there, but the tooth either had to be expensively repaired or somewhat less expensively pulled. You know you are an adult when you choose the less expensive method so it's only a fraction of the money that you still don't have on hand. Ah, the joys of adulthood and tough decisions. Luckily, there were many other highlights for the week. I took the day off on Wednesday to go fishing with my dad. I'm not sure what I took off from on Wednesday, but I found myself up north near the Wisconsin border, with a fishing pole in my hand and a lingering pain in the side of my jaw. Yes, the fishing did take my mind off of the dull pain that was making its way past my ear. The real highlight of that day would be the eighteen fish that I ended up catching. Not bad for dock fishing. Certainly in the running for highlights would be two packages that came by mail. One I'll tell you about here. The other, I'll save for another time, when all parts of the trade are completed. In this package were 21 cards of Harold Baines. Some I had. Some I didn't. All were definitely appreciated! Thanks, Ron! These were awesome Baines cards! I should have something sent out to you in a week or two. Gregory was a surprise call up on September 1, 2010. He wasn't even on the 40 man roster until right before his promotion. It turns out that the faith the White Sox put in Infante was well placed. In his first five appearances, he has a sparkling 0.00 ERA. On September 7, 2010, Greg made his MLB debut against the Tigers in Detroit. In each of his first five appearances out of the bullpen, Infante has finished the game. He has shown the ability to work well in tough situations. 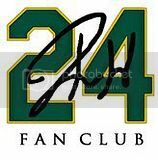 He has done enough in his limited action to receive strong consideration for a bullpen role in the 2011 season. Out of Gregory's five appearances and month plus with the club, there have still only been photos of him from his first day with the parent club. Instead of hoping for a miracle on the last day of the season, I've decided to go ahead with the best representation of what was available. This does fit in to a degree with 1987 Topps, but the photo would not have been my first choice. On Sunday, October 3, 2010, Nancy Faust will be playing for the final time at U.S. Cellular Field. Nancy has been perhaps the longest running institution at the home park of the Chicago White Sox. If not the longest entering this season, certainly the most famous. This is the forty-first and last season that Nancy's beautiful organ music will be played live. 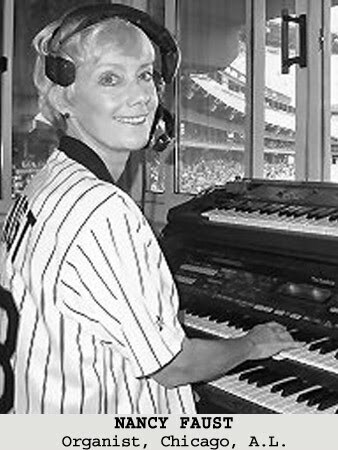 Nancy Faust has been the one constant in a sea of change that is baseball. Players change. Management changes. Even ownership changes. In some seasons, Nancy has been the lone bright spot, when the product on the field was less than spectacular. She had a way of bringing the crowd into a game, even under the most dire circumstances. As a kid, going to old Comiskey Park, my attention would wander. I've endured teams without identity. I've witnessed last place finishes. I've seen collapses that would make toenails curl, but Nancy Faust has always been able to make me smile. I can remember attending a few games during the 1989 season. The team was in a free fall, rocketing towards seventh place. 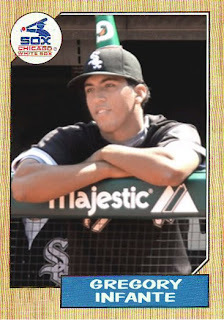 One of my favorite players had been traded away for a haul that included a future cheater and a pitcher who would make the most memorable White Sox debut. I had less interest in the game that was going on and more interest in finding hot dogs, Drumstick ice cream cones and souvenir cups. I would wander the catacombs of the park, exploring, finding interesting paintings tucked away in corners and examples of 1910 craftsmanship. Nancy's exquisite playing always drew me back up to the surface and into my seat. After the 2005 World Series, Nancy limited herself to day games. It's not a coincidence that the majority of the games I've attended in the past five seasons have been day games. I wanted to hear the last hurrah of a Chicago baseball legend. I decided to relish every experience, instead of wasting my chance to bask in the musical glow of her playing. After Sunday, another part of my past will slip solely into the recesses of my memories, coming out only rarely, to be enjoyed when I need a pick me up moment. Thank you, Nancy. I have enjoyed your wit, your humor, your musical prowess. I will never think of Pete Incaviglia or Iron Butterfly in quite the same way again. Na na na na, na na na na, hey hey-ey, goodbye.